Squeeze 3 Times: Harvest Fun! 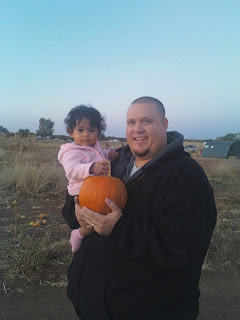 We decide to go upto the Willis farm and get pumpkins. It was cold. Burrrrrrrrr! Wow...I can't believe you have two babies at the same time. You have your hands full...literally, since neither of them can walk yet. What a trooper and how fun for them to get to pick out pumpkins. Sorry we missed the festivities last weekend. As soon as Paul stops traveling and soccer is over, we will be free again. 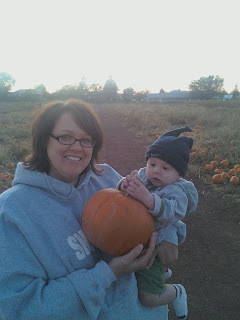 How fun, I love pumpkin patches. Pumpkins are so fun! Your little kiddos are so cute!